Ive noticed a few examples over the years. The song ‘Remedy’ by Seether seems to plagiarise elements of ‘Frances Farmer’ and ‘Come As You Are’. I’ve always thought the intro to Bush’s ‘Bonedriven’ sounded a bit like that to ‘Heart Shaped Box’ . There’s also Oasis's ‘Married with Children’, whose intro somewhat resembles an acoustic version of that to Lithium. Ive noticed a few examples over the years. The song ‘Remedy’ by Seether seems to plagiarise elements of ‘Frances Farmer’ and ‘Come As You Are’. Regarding Kurt Cobain. He ripped of Killing Joke's Eighties for Come As You Are anyway. I think Dave Grohl﻿ drummed for them on a couple of shows to keep them happy. Smells like teen spirit sounds like Blue Oyster Cult's Godzilla. There are others but that's the two which come to mind. So it happens no matter who you are. Regarding Kurt Cobain. He ripped of Killing Joke's Eighties for Come As You Are anyway. I think Dave Grohl﻿ drummed for them on a couple of shows to keep them happy. Smells like teen spirit sounds like Blue Oyster Cult's Godzilla. Didn't Kurt Cobain base Smells Like Teen Spirit's opening riff on 'More Than A Feeling By Boston'? You certainly could be right. But I feel the riff in SLTS closer resembles that in More Than A Feeling than it does the riff at the start of Louie Louie. And Little Things by Bush has to be another one, with parts of that sounding suspiciously like SLTS. I love making these kinds of comparisons...Nirvana weren't entirely original themselves -- Spirit really took its opening from the closing chords of Pixies, Debaser... not Godzilla, Louie Louie or More than a Feeling -- Milk It's riffage is owed to the Melvins, It's Shoved -- Very Ape also borrowed the riff from Los Brujos, Kanishka... Kurt must've liked him some Argentine rock! I thought this thread was gonna be all about Live Through this. > Silverchair - Lie To Me (Tourettes) among many others, Silverchair is a passable band though, they wrote most of their Nirvana/Pearl Jam songs when they were 13, some of which are pretty good, certainly better than most people at that age -- and Daniel Johns' later experimental art-rock material more than makes up for it. 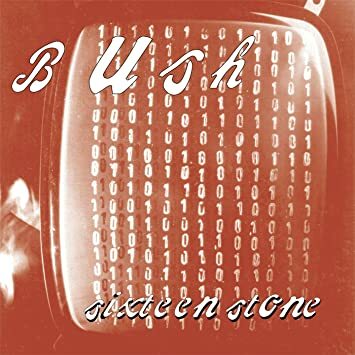 > Bush's "Glycerine" doesn't rip on any particular Nirvana song, but it's similar enough in vocals and guitar tone to anyone without a trained ear that they'd be forgiven for finding it under Nirvana back in the days of Napster, Limewire and Kazaa (it's like that Downface song that people still 20 years on miscredit as Eddie Vedder & Layne Staley). > Blur's "Coffee & TV" has a short solo/bridge section towards the end that sounds similar to All Apologies. > The intro to Of Mice & Men's "Never Giving Up" sounds like Heart Shaped Box. > All three songs by that Socotra band from a few years ago sounds like a painfully derivative rip-off combo of all of Nirvana's radio songs. It got to the point my friend made a joke that the lead singer was probably gonna off himself at 27. Also, while, Kurt's all like "oh we're ripping off the Pixies". I, quite frankly, don't hear it at all. 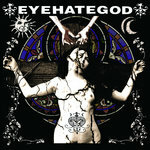 For the most part, Nirvana's Bleach and In Utero material is just a mishmash of Melvins, Saccharine Trust, Rites of Spring, early Sonic Youth, PJ Harvey and early Swans, with a pinch of David Yow (Scratch Acid/Jesus Lizard) and The Vaselines pop sensibilities (the latter being mainly on Incesticide). I can't really speak for the Nevermind album, but Kurt said it was "essentially a Cheap Trick record" which again, I don't really hear, but I think that was just his way of insinuating it was a "pop rock" record.